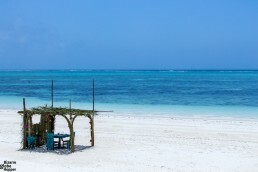 Arouse your wanderlust with our list of 10 romantic destinations in East Africa! 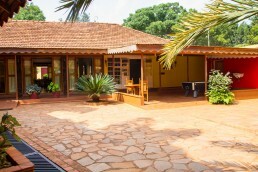 Historical Masindi Hotel in western Uganda has hosted Ernest Hemingway, Katharine Hepburn, and Humphrey Bogart, among other stars. 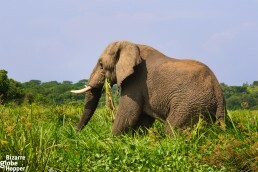 Murchison Falls National Park has versatile biodiversity and many animals. 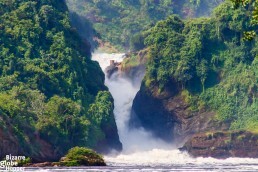 Cruise on the Nile river and visit its great, namesake falls. 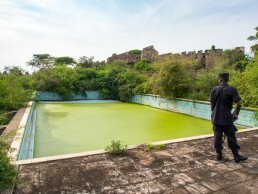 Abandoned skeleton of Pakuba Lodge stands lonely upon the White Nile. 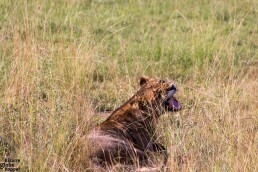 Once the pride of Murchison Falls National Park and Idi Amin's favorite hideaway, the famed lodge is now home to ferocious leopards and lions. Would you dare to track down rhinos on foot? 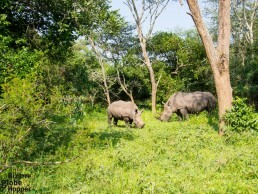 We followed a ranger to the thick Ugandan bush to see our first white rhinos from zero distance. Echuya Batwa, more commonly known as Batwa Pygmies, are the most marginalized group of indigenous people in Uganda. 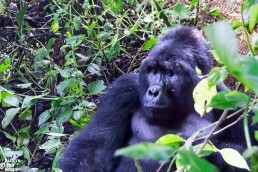 We visited them in Bwindi Impenetrable Forest. Spotting wildlife on the banks of the Nile river from a boat is one of the must-do activities in Murchison Falls National Park in Uganda. 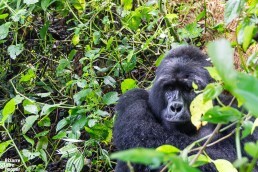 How is it like to meet the endangered mountain gorillas of Bwindi Impenetrable Forest in Uganda? 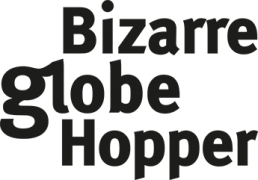 How to book and what to bring? Read on!  A video about an extraordinary adventure - gorilla tracking in Bwindi Impenetrable Forest National Park in Uganda. 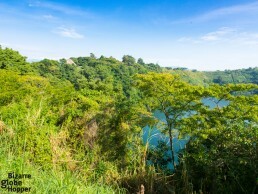 Track tree-climbing lions, take a boat safari in Kazinga Channel or visit bat cave in the beautiful Queen Elizabeth National Park in Uganda.